By Wally Graham, Resources Roadhouse. Impact Minerals (ASX: IPT) closed 2016 with a cliff-hanging conclusion to a drilling program on the Silica Hill gold-silver discovery within the company’s 100 per cent-owned Commonwealth gold-silver-base metal project. The Commonwealth project comprises three 100 per cent-owned exploration licences covering about 315 square kilometres of the highly-prospective Lachlan Fold Belt north of Orange in New South Wales, which is host to many major gold-silver-copper mines. Impact Minerals left the market in a similar predicament to loyal audiences of television programs that end their summers by burning down the local café leaving viewers to wait until the New Year to learn the fortunes of their favourite stars. Just before Christmas, Impact announced it had extended the sulphide mineralisation at the Silica Hill discovery by up to 50 metres down dip/plunge in the first two diamond drill holes completed as part of a follow up drill program. The company signed off by telling us that assay results were not available and that we would have to wait, like the television audience, for their anticipated release date of around late January to mid-February. Adding spice to the mixture, Impact informed us of the encouraging nature of the mineralisation it had encountered at Silica Hill, which comprises promising multiple narrow stockwork-style veins and veinlets together with disseminated sulphides in the rock surrounding the veins. Everything being what an exploration play would want to see at the early stages of a discovery. Readings with a portable XRF instrument on both holes (CMIPT048 and CMIPT049) provided further encouragement by indicating the presence of silver mineralisation over 100 grams per tonne occurring in many places both in the veins and the surrounding rock. “The drilling we completed last year showed us the mineralisation seems to be at least as thick as what we had encountered in the discovery holes and appears to be hosting the right sort of mineralisation we would hope to see,” Impact Minerals managing director Dr Mike Jones told The Resources Roadhouse. It’s little wonder the market should be intrigued by developments at Silica Hill, given the short history of outstanding drill results the deposit has produced. The silver mineralisation zone at Silica Hill strikes north east and dips steeply to the south east and, of note, appears to improve in grade as it gets deeper. The mineralisation remains open in all directions including up-dip and is terminated by a fault, which Impact has interpreted to suggest further mineralisation may have been offset. Impact’s eagerness to fast-track follow-up drilling at Silica Hill stemmed from results from the four previous drill holes (CMIPT046, CMIPT026, CMIPT043, and CMIPT011), which all returned significant intercepts on two sections. Most notably was drill hole CMIPT046, drilled beneath Hole CMIPT026, which returned high-grade gold and very high-grade silver over a 41m thick intercept within a 74m thick zone of gold-silver mineralisation. 74.5 metres at 1.2 grams per tonne t gold and 106g/t silver (2.9g/t gold equivalent) from 61 metres, including 41.3m at 2g/t gold and 176g/t silver (4.7g/t gold equivalent) from 61m, including 16.3m at 3.7g/t gold and 246g/t silver (7.6g/t gold equivalent) from 86m. “The previous results we had achieved at Silica Hill demanded we follow them up in quick fashion, which we did,” Jones said. 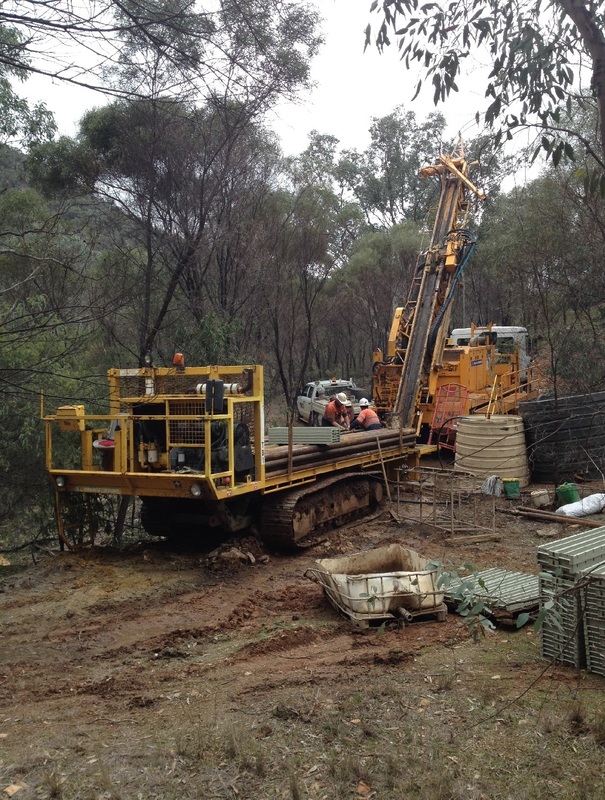 “The follow-up program was designed to test for extensions to this mineralisation as well as further depth extensions to the Commonwealth deposit centred about 200 metres south west of Silica Hill. “The earlier drilling demonstrated we had discovered high-grade gold associated with the very high-grade and bonanza grade silver veins that are clearly widespread across the prospect. 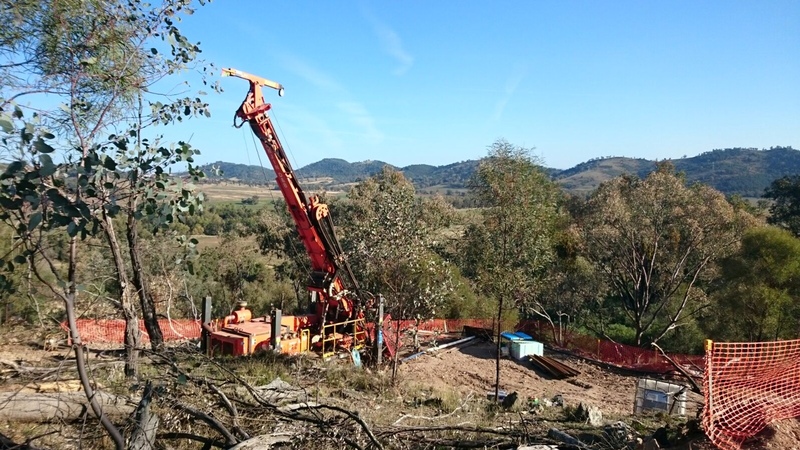 Drilling at Silica Hill took a break over the Festive Season while Impact awaited statutory approvals to be granted for some of the drill holes. Once these have been received, the company will be looking forward to delivering more news on further developments from Silica Hill. Drilling will be keeping Impact Minerals occupied for a good part of 2017, as the company spends two Western Australia Government Exploration Incentive Scheme grants, totalling $300,000, on its 100 per cent-owned Mulga Tank gold and nickel project east of Kalgoorlie. This will be supplemented by a recent refund of $1.07 million the company received from the Australian Tax Office for expenditure on research and development in the 2016 financial year. The Mulga Tank project has been on Impact’s radar since it discovered high-tenor nickel and copper sulphides at the Mulga Tank Dunite during a maiden drill program in 2013. 1.Extensive disseminated nickel in the Mulga Tank Dunite with assays of: 2m at 1.3 per cent nickel, including 1m at 2 per cent nickel and multiple 0.5m thick zones of 0.5 per cent to 1.2 per cent nickel within an intercept of 115m at 0.3 per cent nickel; Other thick intercepts include 21m at 0.4 per cent nickel and 59m at 0.3 per cent nickel. 3.High tenor nickel sulphide in multiple komatiites in a flow channel in the upper part of the dunite with assays of: 0.75m at 0.85 per cent nickel, 0.35 per cent copper and 0.28g/t PGE (Pt+Pd+Au); and 6.7m at 0.5 per cent nickel. “The style of mineralisation and the nature of the rocks we have seen at Mulga Tank immediately raised interest, mainly due to their similarity to those that host the large nickel deposits at Perseverance and Mt Keith,” Jones said. “We collected around 2,500 soil samples at Mulga Tank back in 2015, which we have sent to be analysed using the ionic leach method at ALS Laboratories in Perth. Impact has identified the geological terrain hosting the Mulga Tank project to be the same as that hosting Gold Road Resources’ (ASX: GOR) Gruyere deposit of more than 5 million ounces of gold. As Gruyere was before it came to prominence, Mulga Tank has been poorly explored for gold and Impact intends to make this a focus of the upcoming drilling. Peter Unsworth, Dr Mike Jones, Paul Ingram, Markus Elsasser, Felicity Gooding.